There are 475 posts in this topic. You are on page 5 of 10. 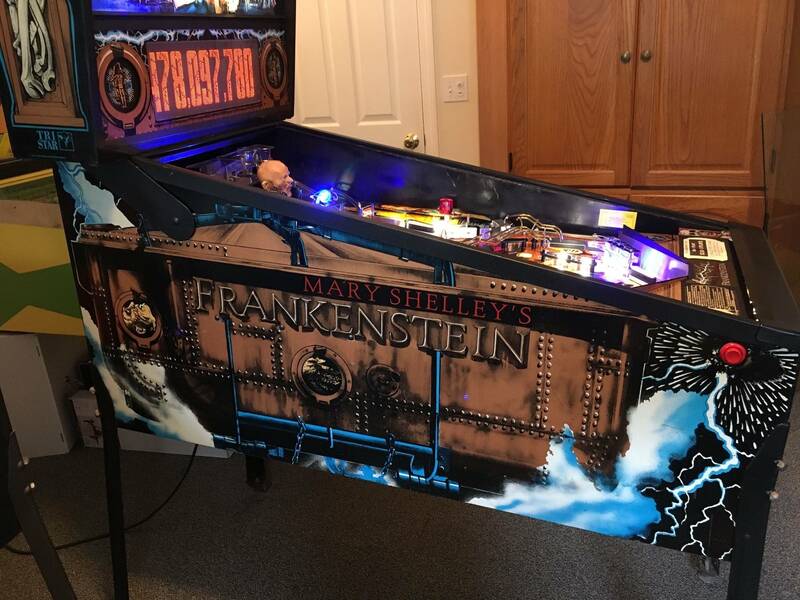 I stand corrected, 15 minutes is not even close the time that it will take to remove the stock DMD, replace it with a PinballSP and start the first game on Frankenstein. I am sorry i lied. It actually takes 7 minutes. 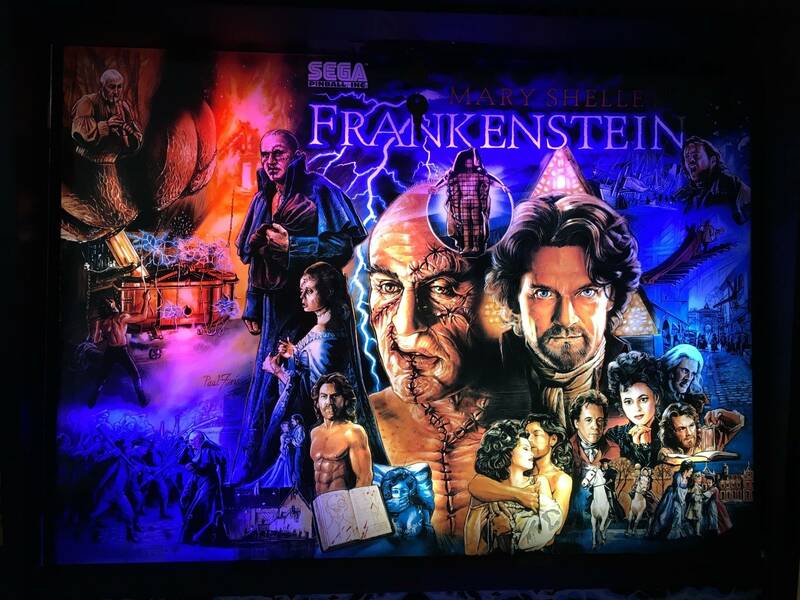 After my installment video of the PinballSP 192x64 screen in Frankenstein I got questions of what colors i use in my game. Now, my understanding is - only the first 4 characters 'do' anything in Frank....but in your case, the 1st 4 lines are repeated either way (i.e. 0E4A) as each palette line lasts about 30 seconds- so the only colors you are using are Black, Dark Brown, Dark Red and Dark Yellow (in that order)? As far as I know only the first line(and the first 4 color codes) are active in the current firmware. But in the upcoming firmware release the color palette switching will be implemented, and if you don't want the change you make the four lines identical. surely these haven't reached these prices yet have they? Well, for ME, I hope the prices HAVE soared! 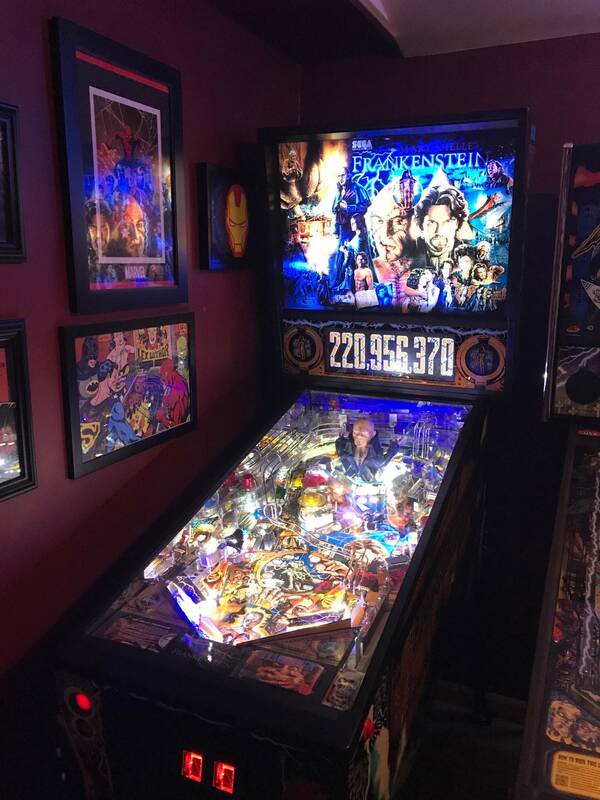 I bought my pin for around $2,000.00 and so far have put about another $1,700.00 in it. I don't want to sell it anytime soon, but it would be nice someday to sell it and at least get most of my money back. wow, someone wants $3200 for a franky on here now? surely these haven't reached these prices yet have they? If so, I'm selling! I don't want to sell, but if that's what one is going for with a divot out of the backbox and without all the mods I have, I'm curious what mine is worth. There's another one on fleaBay with the typical $4500 price tag too. I don't know about those prices, but MSF is definitely an underrated game. Man! Your pin looks bright! That is just danged BEAUTIFUL!!! I wish mine could look like that. I've put in LED's everywhere I could find a place to put them, but mine sure doesn't shine like yours!!! Care to share the secret? Heck, your pin is so pretty it makes me want to go out and buy one! Ha. And yes . 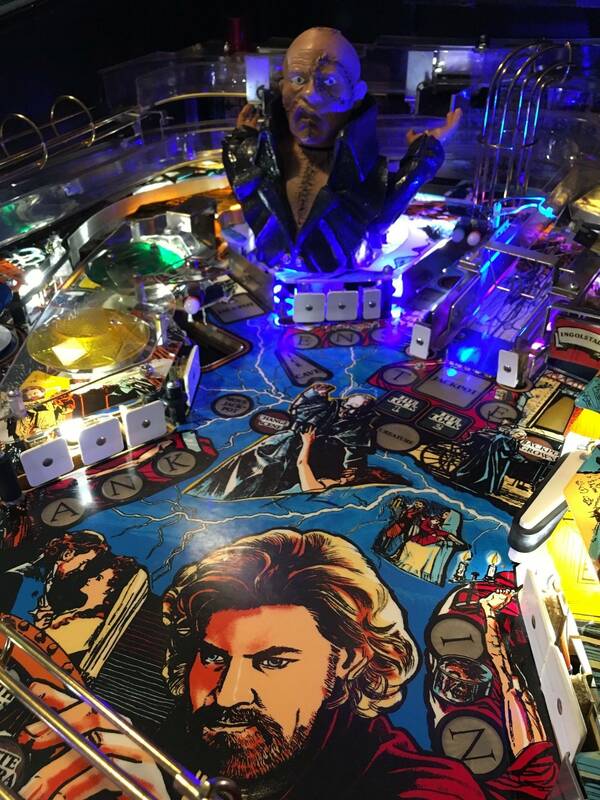 . . this is a severely under-rated pin! Unique and great game play. I can't figure out why it doesn't get any love, unless it is fear of that big display . . . knowing how costly they are to replace (and the problems a lot of people have with them) and how difficult it is to even find one. By the way . . . does your head work? Turn back and forth? I've put in two new servos and still it doesn't move. If you've had to repair yours, then also share any info on that too please, especially where you bought the servo. I got mine through some online RC stores. 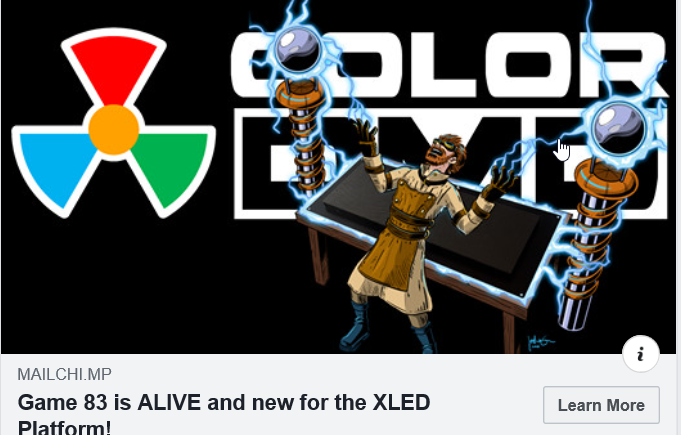 Maybe those don't work and you have to buy one from a pinball parts distributor? Thanks for the compliment. While I usually mod a little and add lighting, I can't take full credit for this one. jefff did most of the light additions before I bought the game from him, and did an awesome job. He added a trough strip, and another strip under the backbox above the rear PF. He also added four spots on the lower PF (above left sling and right stand ups), and another spot up top near Frank. Spots really make all the difference. I added four to my old DE Batman, and it made the PF look so much better. He also put mirror blades in, which help the illumination of the PF a lot. I added 5 SMD cool white and blue towers under the return lane ball guides, replaced the bulbs in the spots with 4+1 no dome cool white SMD's and some other Flex two-head LED's in a few other places. I also changed a few of the rubbers, and installed orange Convolux plastics on the slings and ball guides. He put the color DMD extender in (which is awesome). The cable crapped out, so I had to play with it for a while. Switching it around helped at first, but ultimately symptoms returned and I had to replace it. MSF tends to be dark, so I would definitely recommend the trough LED strip, and a few spots. Really brightens the game up. The head moves on this one, but on my old MSF I had to replace the servo. Not sure if hobby or RC shops have the right part, but they may carry something "somewhat compatible." I think I ordered my servo from Bay Area or Marco, but they didn't have many. I remember because I got the filing cabinet mech for X-Files at the same time, both hard to find parts. I would try to find one if I were you, before you start playing with alternatives or manipulating the game. Just doing what everyone else seems to be doing, and putting stupid pricing. I had it listed for a great price on here and some guy in CA strung me along, wanting a better deal, I gave him one, and then he dumped on the sale after saying he was "yes yes!" paying for it. I said the hell with it, I think of this game a lot more than that, it's a fantastic playing game, hard as nails and tons of replay value. I could care less if it sells for $3200 or not, divots and all. I agree James...it is a great game, and as I said above...highly underrated IMO. I didn't start the "what's it worth" comments, I was just chiming in after someone referenced one listed here, and throwing out what my game has and looks like compared to others I've seen advertised lately. Oh, that must be what this thing is! I'll search YouTube for some instructions on how to use it. 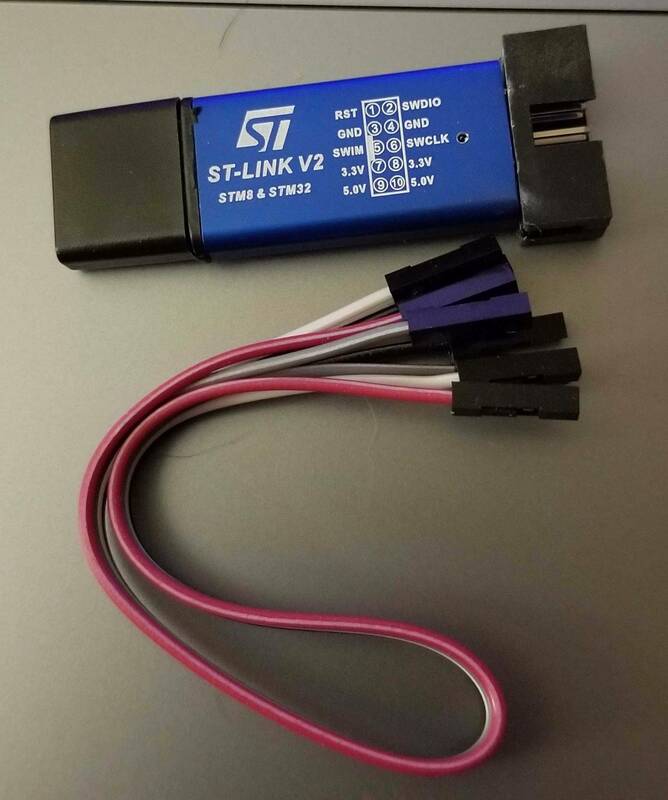 Your post shows a ST-Link V2. This device is used to update 1st and 2nd generation PIN2DMD-XL devices (small black PCBs) like your set is. Oh, and another issue that has been baffling me is that on power up, Frank says, "Frankenstei-" and the end of the word is cut off, and then there's silence for awhile, or until a game is started. Back to the PPB fuses: F6 was too large a value, so I replaced it with the correct one. That shouldn't change anything, just make it more safe. F4 was correct, and tested fine, but it looked a little grungy, so I cleaned the contacts, and put in a new fuse. All the other fuses were fine. I also reseated the J6 connector, which is near the fuses. 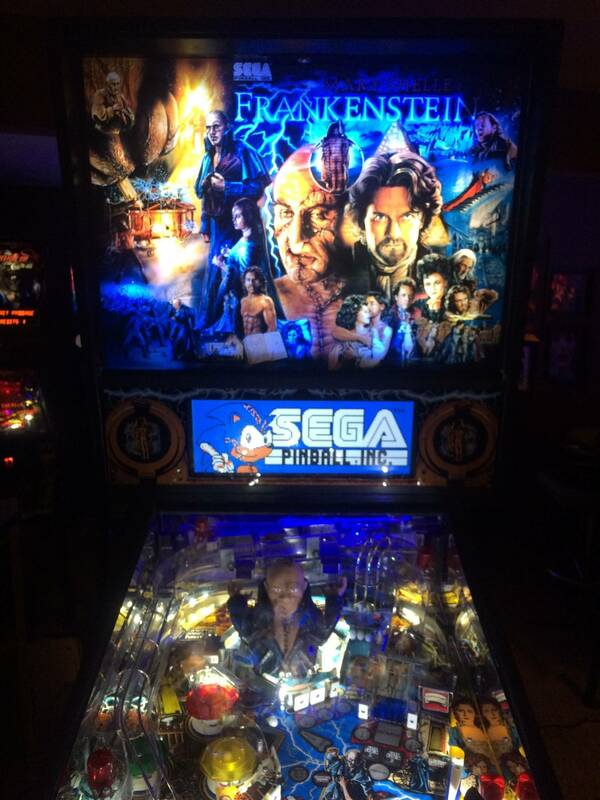 Well, none of this fixed any lights, but when I powered Frank back up, he said, "Frankenstein!" (the whole word), and then some music I've never heard before started playing, where once there was silence. 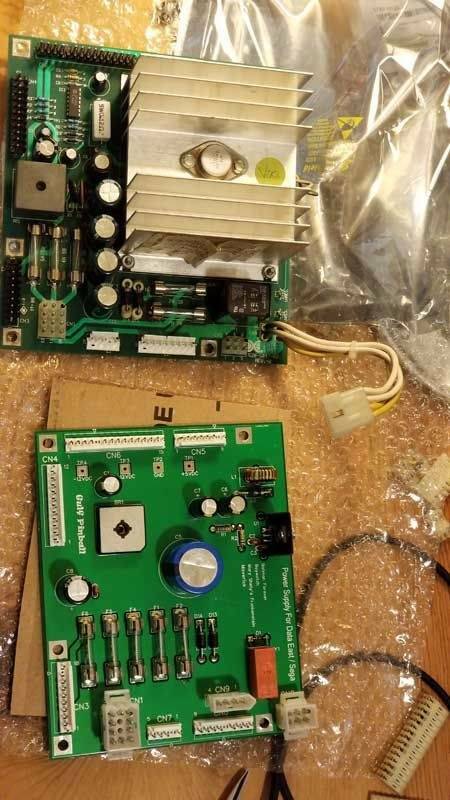 I'm no schematics expert, but I can't see any connection between the PPB and the sound board. Any ideas about what happened here? Here's something I found interesting. And not related to the DMD. This could also lead to problems with the Sega DMD controller. t is very sensitive to voltage falling below 5V. There is a circuit testing for 5V and if it falls below 4.8 or so it keeps the dmd controller constantly resetting. Any unnatural load to the power supply could cause a voltage drop to all power voltages. Sigh. I checked the voltage at the +5v wire coming into the controller board, and it was 4.8. That's good. Then, I checked the schematics to see if the power & ground wires were in the correct places, and they showed power on pin 3 and ground on pin 1. My wires were the opposite, so I switched them around. Then on boot, Frank went back to saying only, "Frankenstei-" and the new music didn't play. WTH? 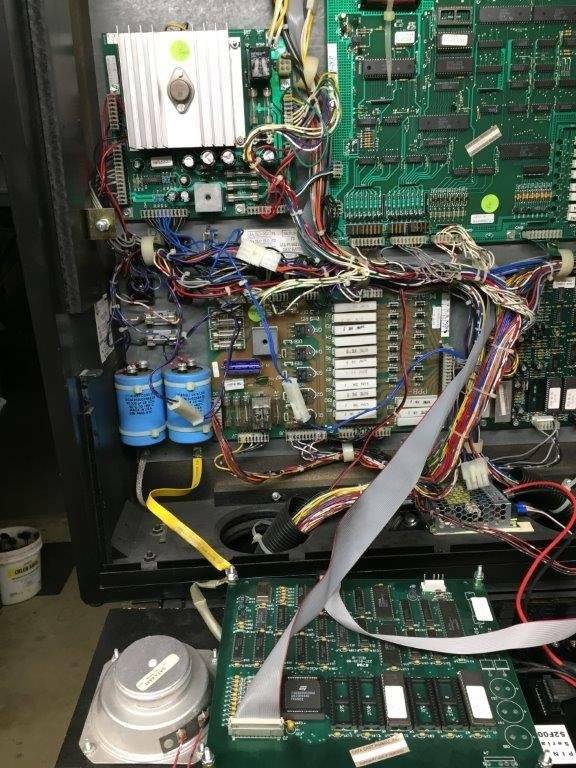 So then I looked at the service bulletin 106 because someone had done that fix, and saw that it reversed the power and ground, so I put them back the way they were, and I also checked the two fuses I had replaced earlier. Sadly, Frank still only says, "Frankenstei-" and still no new music. So it would seem that something is definitely going on with the power, but I have no idea what. Unfortunately 4.8v falls below what's actually needed for the controller from my experience. Bare minimum it needs 5v or an extremely close number like 4.95v. Also, the sounds you are hearing are due to the amount of time the CPU board takes to boot. When it boots it sends a hush command to the sound board, which plays that callout on boot. The amount of current reaching the filter caps for the 5v circuit depends on how fast this comes up to voltage and thus how fast the CPU board boots. I would check connectors coming from the transformer on the AC side first. Check for voltage drops between wires coming into power supply connectors and traces on the board for the corresponding pins the power goes to. If you see a significant drop, your will need to do some board work to replace headers and connectors. The GI correlation could simply be slightly less voltage on the AC output of the transformer as a result of the load, which typically should not be enough to affect the 5v supply. By swapping GND and +5V it could now also be that you killed the capacitors on the power input of your display controller. I've made a little progress now, but still the display doesn't show any game-related information. 1. 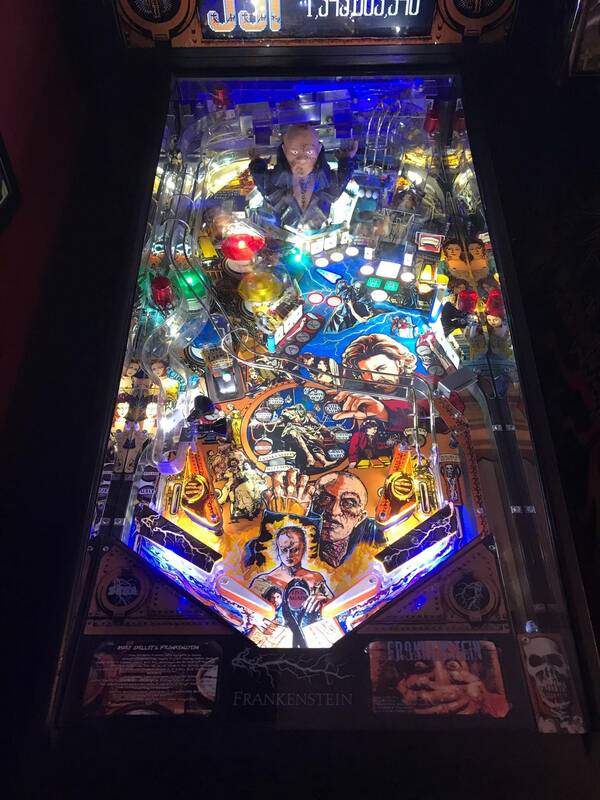 The Power Supply Board had a ton of janky soldering and general ugliness on the back of it, so I replaced it with a new one from Gulf Pinball, which I got at Marco. This brought the power up to 4.94-4.98 (it varies slightly every time I measure it). To use this board, I had to repin all the connectors with 0.156 trifurcons. Now all the backbox GI lights work! 2. I checked the two electrolytic capacitors on the DMD board (circled in red) with an ESR meter, and they were fine. Are those the ones you were thinking might have gotten fried, lucky1, or are there others I should check? 3. I tried the new long ribbon cable again, and that didn't help. 4. The ground straps that are supposed to go from the backbox ground plane to the DMD were broken, so I attached new ones. So ... what should I do next? 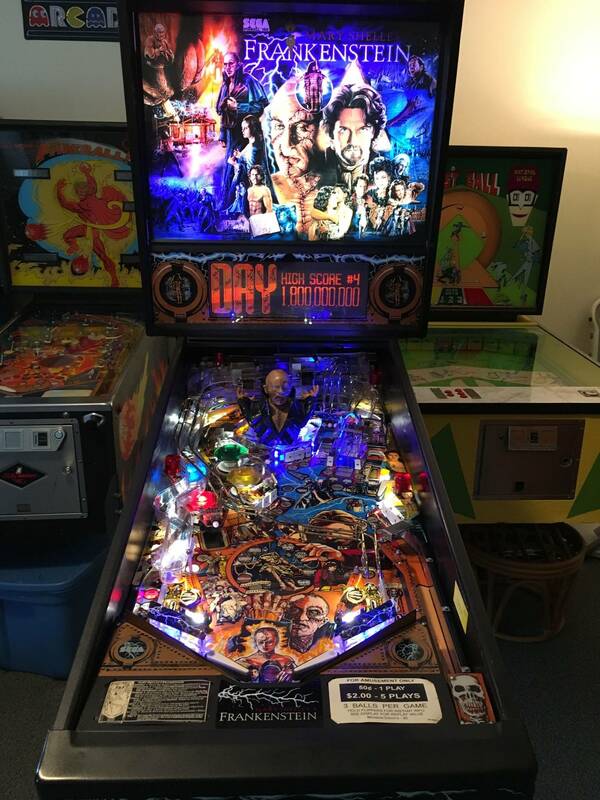 I still think the problem is in my machine, not the PIN2DMD, since it did work for a few days. Crunchysue, this should tell you if the display driver board is working. 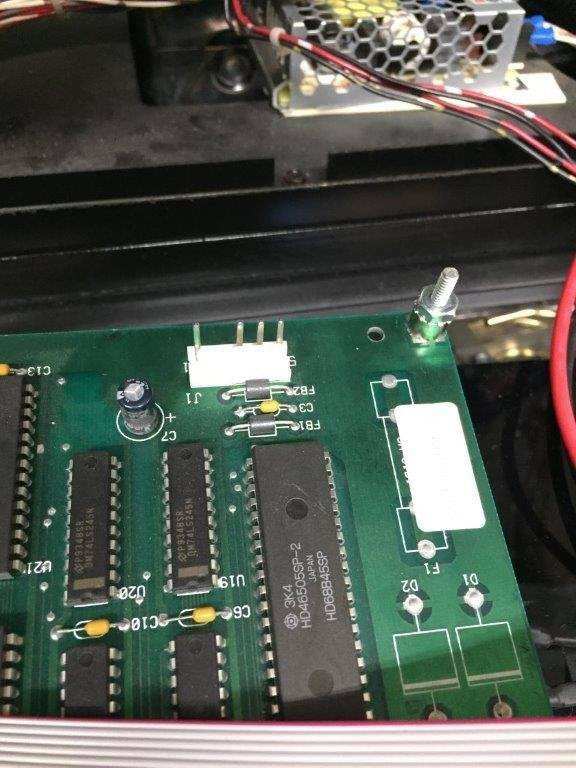 There is a really obscure trick to testing the functionality of the display driver board on large screen Sega system 3b games. I discovered this myself and nobody else appears to have it documented. Boot the game with the display driver board disconnected from power and the CPU board's input ribbon cable. You should see the start button flash normally during attract mode, but occasionally flash bright. 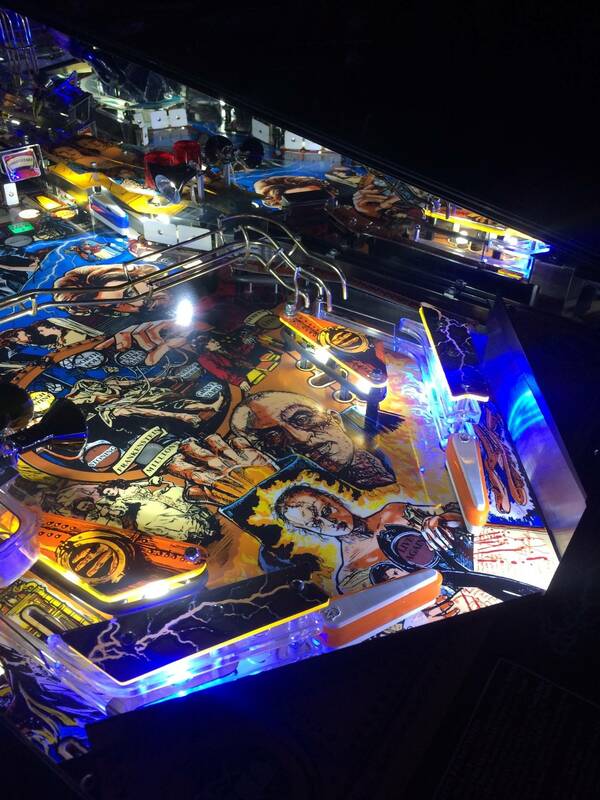 You should also see the same thing on some playfield inserts. Now turn the game off and fully reconnect the display driver board. 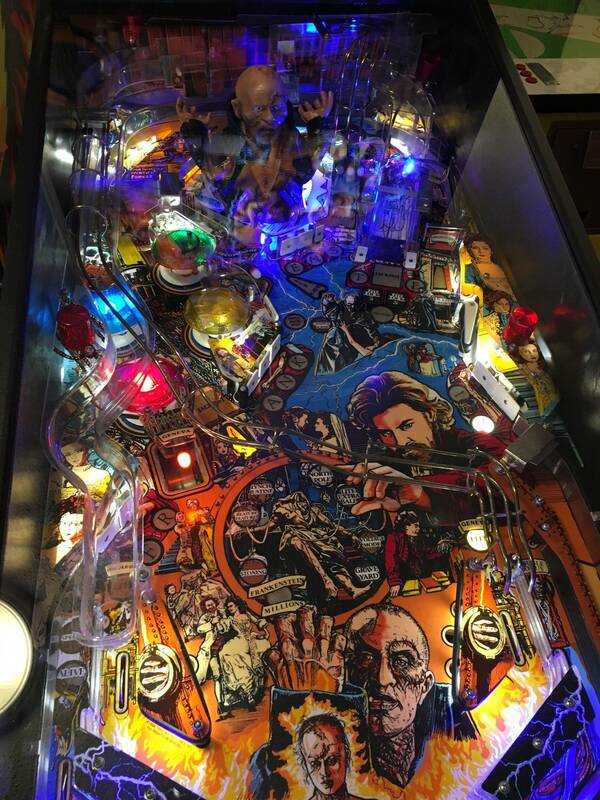 Turn it back on and once again carefully watch the flashing start button and playfield inserts. Do you still see the occasional bright flashes? If so, the board is dead. If not, it works and the fault is the PIN2DMD. This test has never failed me with years of personal experience, as it's a bug in the switch matrix strobing that occurs when the CPU cannot communicate with the display driver. Wow, Crash, that's really interesting! I guess now would be a good time to replace the bulb in the start button. I'll do that, then try that out. Thanks! Now, if the board IS dead, then can it be revived? 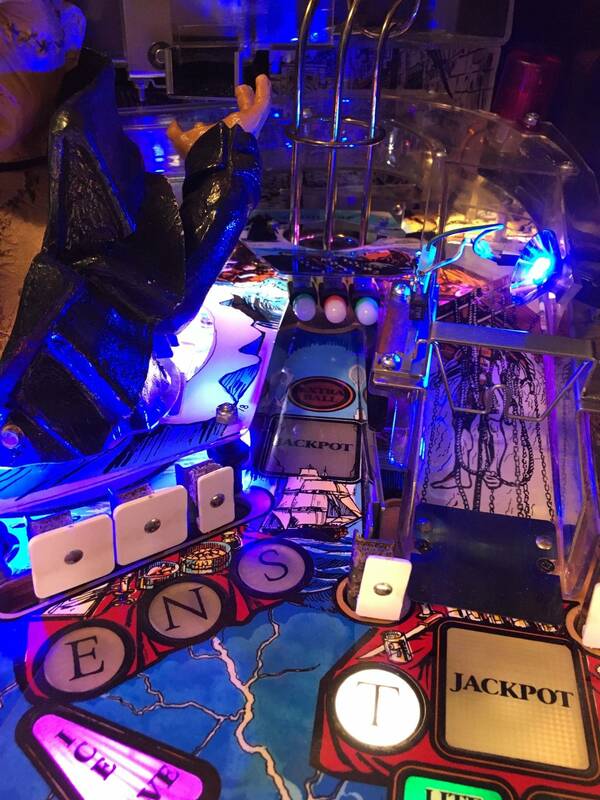 Its usually not the servo, its the board... and nobody on the planet can fix them. I know, I recently had one of the best board repairman in the country try. 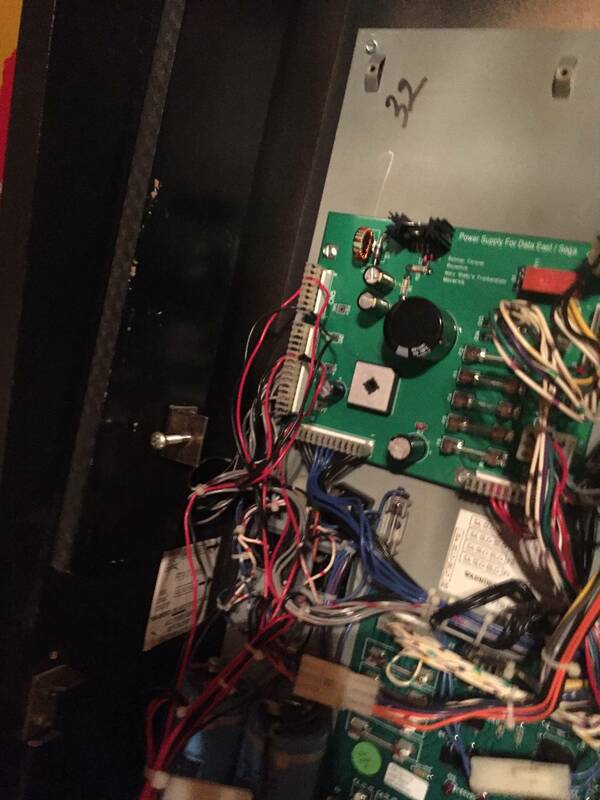 I had exactly the same problem with my Batman FE display controller. It worked for a few days and then suddenly stopped. The root of the problem in the end was a bad corroded soldering joint (via) between the upper and lower layer of the pcb hidden underneath a IC. Took me two weeks to find that. Instead of the obscure trick crash is describing I prefer a more profound and scientific approach. Do you have a oscilloscope ? You could check wether the cpu keeps resetting the display controller. The signal is on J3-20. Also check wether pin 8 on the TL7705 is low. 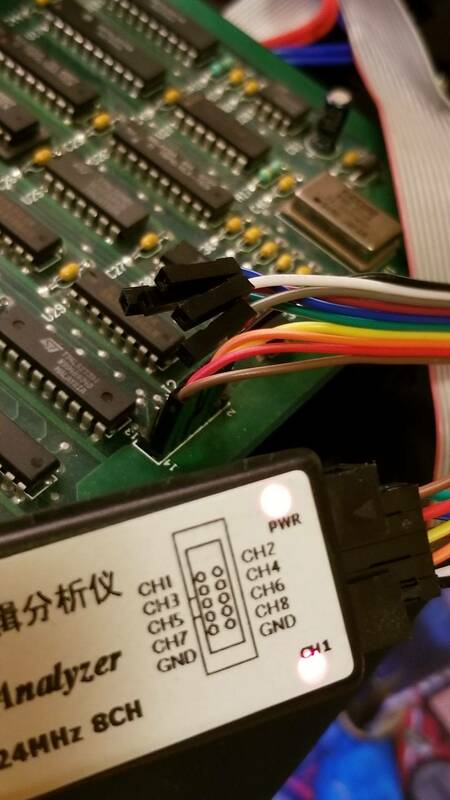 A logic analyzer hooked to the dmd connector would also help. You could also compare the input and output of the 74HCT240 and see if a signal is missing. Good suggestion, but I would still try the start button trick first as a baseline. If that doesn't check out, time to examine the board logic. I think the problem is not the electronic repair of the servo controller board, it is the pic firmware controlling the servo. If the pic16c56 is defective you need to program a new one and without the code it is impossible to get a working controller. write the code from scratch. This ApplicationNote could help as a starting point. I have neither an oscilloscope, nor a logic analyzer, but I'm open to getting them. Do you have recommendations? 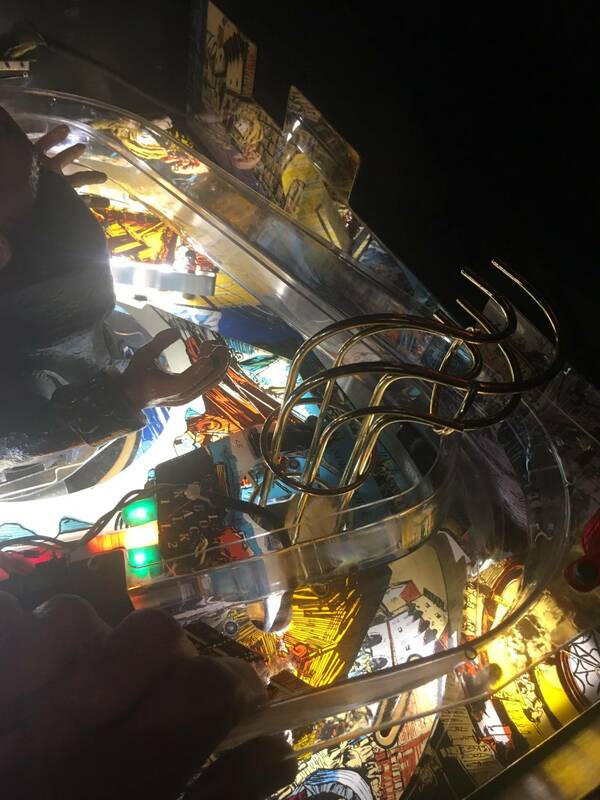 As I feel truly sad for all these guys with major and minor issues with their bought pin2dmd XL displays seen trying to figure things out in this thread (and elsewhere) and I hope that there is a recovery from the issues along the road. 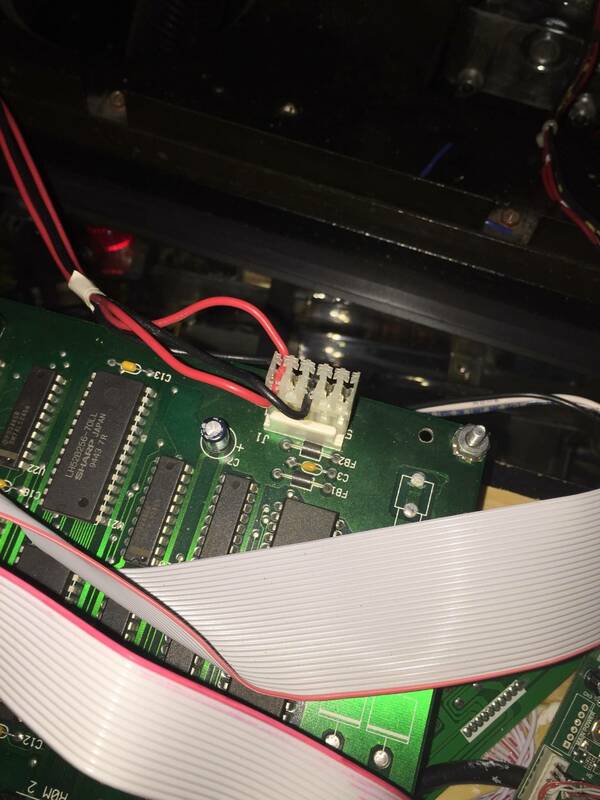 I feel the need to quote my own post of the ease and simplicity of dealing with Louis and the pinballsp x64 (even tough it is his initial release, with the documented first row firmware issue ). For all the guys like me that (for years and years) has only been waiting for a plug&play replacement screen for the large DMDs I would hold the trigger on getting the pin2dmd XL until quality of service has been established. And if in dire need of a large screen go for the pinballsp x64. 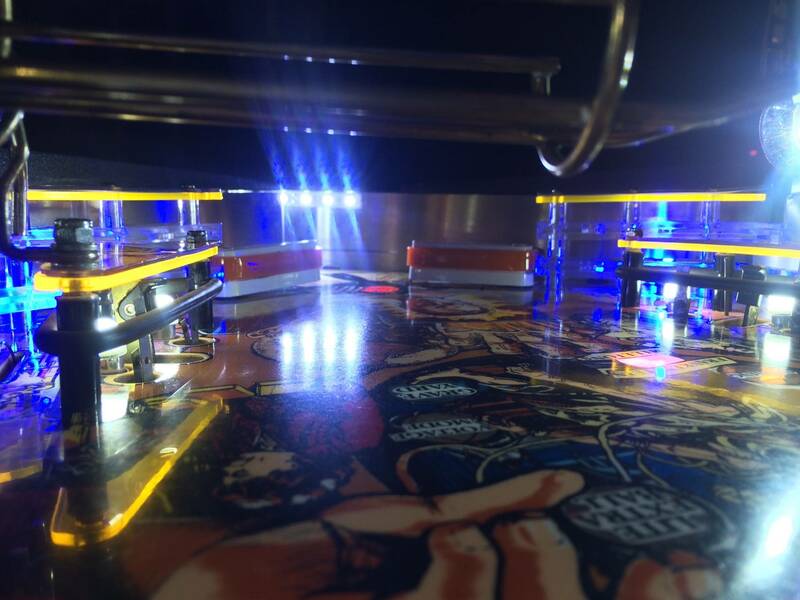 Or wait until the next release of firmare for pinballsp x64, if the first row bug is a make or break deal. 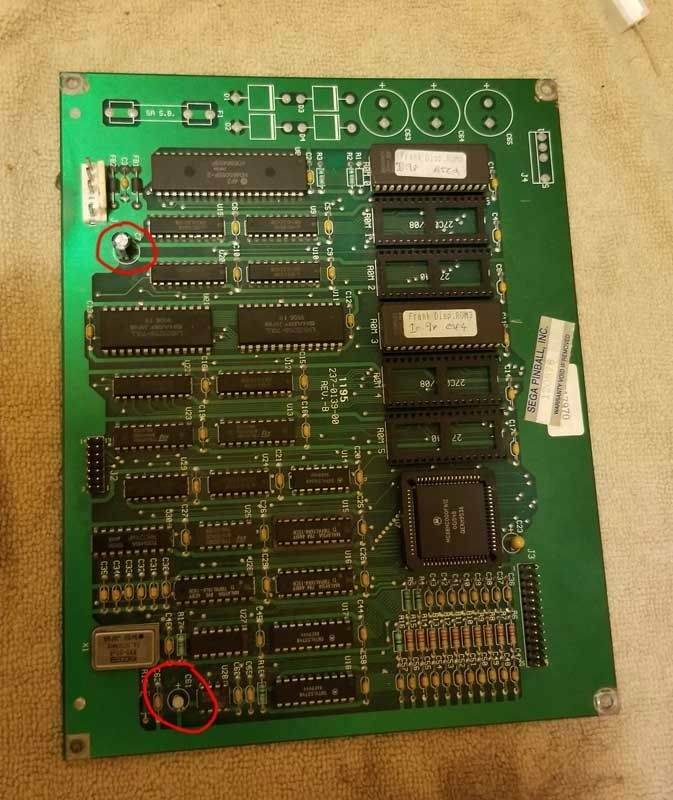 Hey mima, im sure you’ve read the last posts very carefully... it has been clearly stated that most possibly not the Pin2dmd is the issue in this particular case, but possibly the dmd controller board. You’re right, around 7 minutes MAY be shorter than around 10-15 minutes (I never counted, neither did my customers since it’s unnecessary) but a shorter install doesn’t automatically mean a longer satisfaction. I have the highest respect for luis‘ engineering skills (since they are higher than mine) but I have the strongest doubts he will solve ALL issues the Pin2dmd firmware has been through over the last almost 2 years. Nevertheless, I wish him good luck. Hope he will solve the small “last line bug“ in an upcoming firmware and he gets to manage the new panel type. I have been really thankful for lucky1 to find out and fix it in pin2dmd firmware. OK, I just ordered one from Amazon - ain't nobody got time to wait for shipping from China. Now, what about an oscilloscope? I've been enamored of them since HS physics class 30 some years ago, but never had a reason to buy one before. 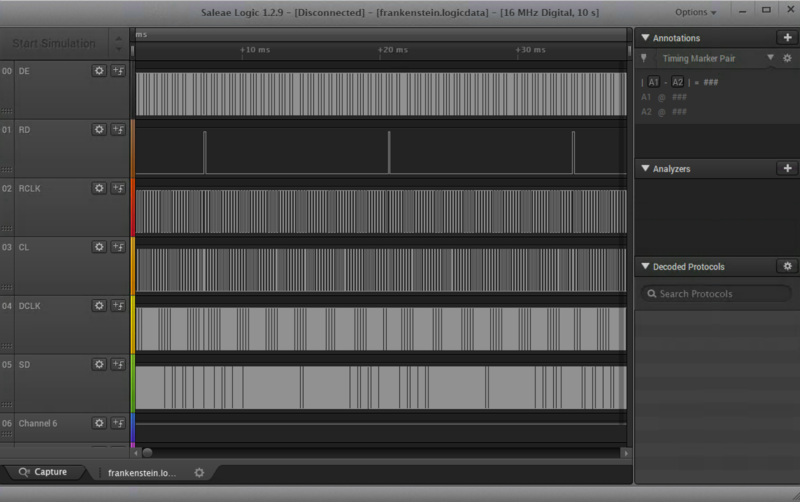 Logic analyzer should do it for now ! Can anybody post some pics of how the right ramp is supported in the back. I took apart to shop it and its sat for 2 years and i cant figure out if there was some hex nuts it sits on or what? yes you're right it is the code that he couldn't copy. With little programming skills and the information in the manual page 93 it should be easy to write it. 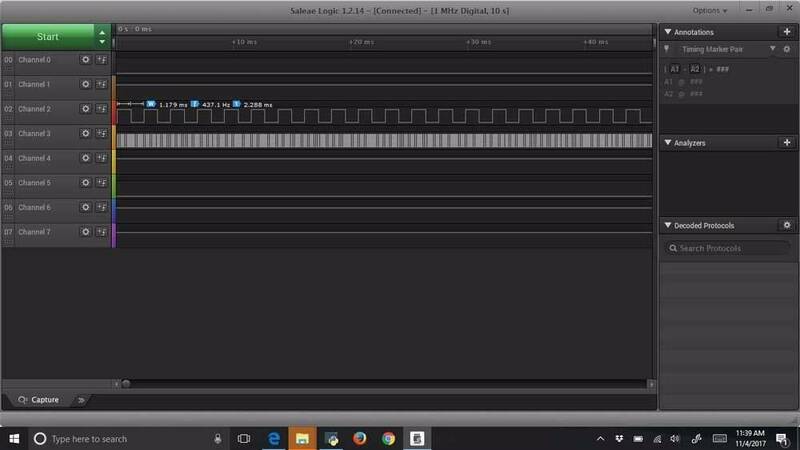 Arduino IDE and has code samples for servo control built in. Unfortunatelly I don´t have a Franknstein and my Batman FE does not have that controller. My logic analyzer is coming today. Once I figure out what to do with it, I will do that, and report back. And I couldn't resist buying an oscilloscope, so I have that now. I understand the basics of how to use it, but I'm not sure what exactly I want to look at on Frank. Hi, I'm not sure exactly what you're looking for, but I tried to get some pics with my GoPro for you. They're here on my Google Drive. Not sure how helpful they'll be - let me know if there's a specific angle that you need. I don't know if I'm doing this right, lucky1 . I attached Ch 1, 3, 5, 7, GND to J2 pins 4, 6, 8, 10, 12 and ran the software, and got nothing after a 10 second sample. I tried the same thing on the CPU board with CN22, and also got nothing. That way you attached all channels to GND. You should connect Ch1 to Pin 1, Ch2 to Pin 3, Ch3 to Pin 5, Ch4 to Pin 7, Ch5 to Pin 9, Ch6 to Pin 11 and GND to Pin 2. Thanks for the clarification, lucky1. Doing as you said, I got this. Looks like I'm missing most channels. Now you can check if the signals are there at the input of the transceiver 74HCT240. 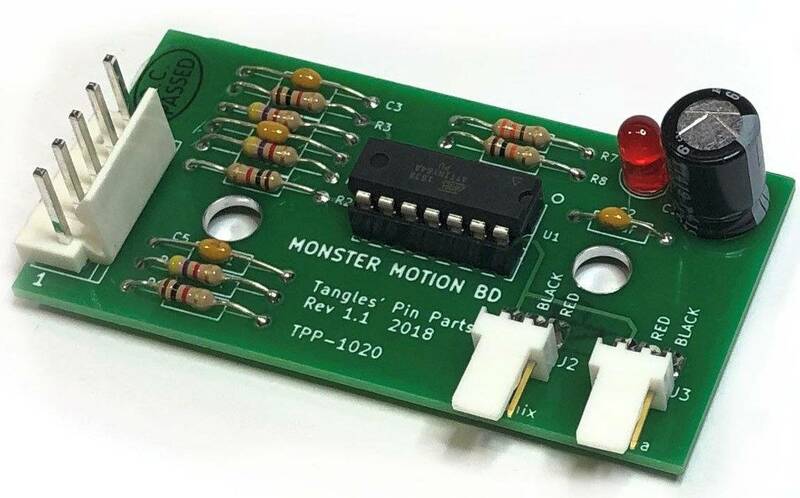 Check pins 4,6,8,11,13,15 with your oscilloscope or solder testpins and connect your logic analyzer. At pin 11 and 13 you should see the same as the signals above on channel 3 and 4. Here are the logic analyzer results from the transceiver 74HCT240 (U30). They're not the same as the results from J2. And, I think you meant the 3rd and 4th channels, which are called Channels 2 & 3, because counting starts at 0. Those were the only ones that had any data on J2. On the logic analyzer the pins are numbered ch1 to ch8 but in the software it is ch0 to ch7. And no signal at the other input pins of U30 ? Please test with the oscilloscope if you see anything. If yes replace U30. If no the problem is deeper and hard to find remote controlled. This guy here offers professional repair service in the US for your controller for a fair fixed price ! I've rarely seen this game parted out, so a speaker panel might be fairly difficult to come by. I know quite a few operators, so I'll reach out to see if in the rare chance they have one. Thanks for the replies, wanted to try to find an original first but thanks for the suggestion on making one. Hoping someone somewhere knows someone parting one out. Tested Frankenstein DMD U30 with the oscilloscope. Several channels have nothing. Here's a video of it. In any event, I learned some new video editing skills today. You are bit too fast for autosync and only measure pins 1 to 10 but still a few things I can recognize. Pin5 seems to have a signal and pin 6 to 9 are high. Pin 6 and 8 are input pins and should have a signal, so the problem seems to be earlier. Please check functionality of the TL7705 wether it resets.